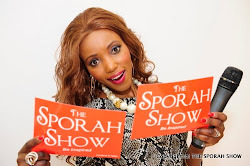 SPORAH TV: SPORAH REVELED WHAT PRODUCTS SHE USES TO CLEAN HER FACE...! 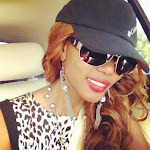 SPORAH REVELED WHAT PRODUCTS SHE USES TO CLEAN HER FACE...! Dear fans, I especially want to THANK YOU for all YOUR warm and helpful comments from my previous post "SPORAH REPRESENTING AT DIAMOND SPECIAL RECOGNITION AWARDS UK 2011". I'd like to answer your questions about My Beauty Secrets. 1. Do you have a daily washing face routine? "NO" I don't and never have a daily washing face routine. You see, when I came to London, I just kept all my habits from Africa. I got up and had a shower in the morning. And of course, always wash my face before going to bed no matter how tired. The truth is, I find that whenever I try to fit too many products into my face, my skin goes crazy and I'm always left with dry parched blotchy skin. So I try to stay away from Chemicals and too different products as I have a very sensitive skin and it makes my skin so itchy, red and irritated. 2. What's the secret to your skin? To all my lovely fans, I only use water to wash my face. My beauty secret is to clean my skin well. I use Simple Soap and then dry it and then use Epaderm creams for the extra pampering effect. I use Simple Soap and Epaderm Cream every day at night and in the morning. It makes my skin feel glowing! my skin loves it. Cleanse and gently purify your face and body with Pure Soap. Its mild formula means it doesn't irritate and is suitable for the whole family. I USE EPADERM CREAM FOR MY DRY SKIN. Epaderm is a 3-in-1 emollient, bath additive and skin cleanser for the treatment of eczema, psoriasis and other dry skin conditions. Epaderm's formulation contains no fragrances, colourings or additives. The ointment can also be used in place of soap when washing to prevent drying of the skin, and as a moisturising bath additive or as a normal moisturiser. In conditions such as eczema, using a moisturiser regularly, even once the skin has improved, can help prevent flare-ups of this condition. I use Epaderm Cream everyday. Epaderm Cream is suitable for the whole family, including babies. 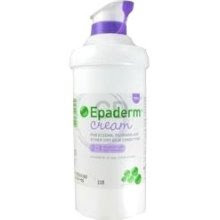 This Cream moisturises and softens the skin, I apply Epaderm Cream generously and massage into my face. sometimes i use it as a cleanser: Also you can Use Epaderm Cream when washing or showering. More information at www.chemistdirect.co.uk/epaderm. Epaderm is a 3-in-1 emollient, bath addtive and skin cleanser for the treatment, and more good for dry skin like mine. However, I strong believe that, Ultimately the biggest beauty secret is really no secret..... It is to be happy. Our skin can be perfect and our makeup just so, but w/o it can make us look older. If you are happy in your life, it will shine through your face and radiate through your eyes and that is the key to what REALLY MAKES US BEAUTIFUL. ENJOY NATURE AND YOU WILL LOOK GORGEOUS EVERYDAY. I would say never put foundation everyday on your face. Try your best to wash your face with soap and water. And of course try to get plenty of sleep, though i don't get one often. And most important IF YOU CAN..! Is to learn to enjoy and accept yourself then ur own true beauty will shine through automatically without makeup. Thank YOU ALL for visiting and leaving comments on our blog ...! I love you, I love you, I love you all...! That's all I can say. You are the real deal Sporah... WITH THIS.. Such an inspirational wards to say to your fans Sporah, WOW! am very impress. I love you more from now. Mbona hujatuwekea bei Sporah jamani? Au ndio mambo ya POUND HAYO? THATS WHY! I will try it and see. Unasema hivyo kwasababu unakaa ulaya Sporah, Njoo Bongo upigwe na jua vizuri uone kama hauta utafuta mkorogo uko wapi, hata ule wa Kariakoo mama utaupaka. So its all depend kama kwako hizi products ni nzuri kwa mtu mwingine zinaweza zikawa sio nzuri. Asante mamii kwa kujibu swali langu. Nimeshacheck on line! Kesho naenda Boots kuzikusanya. Hiyo sabuni kunamtu alishawahi kunishauri niitumie ila nikamdharau nilivoona bei yake. Asante sana Sporah. 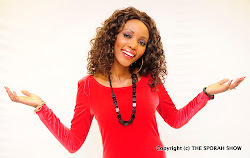 Kumridhisha Mbongo! Hata umlambe Miguu. Sasa nyie mmeomba Sporah awaambie siri ya ngozi yake, haya hiyo amewaletea halafu bado unasubutu kusema aje bongo apigwe na jua.. Kwani aliokudanganya nani kama watu wanapishi ulaya hawajichubui? Ulaya kuna mikorogo ya aina zoote my friend. Ni choice ya mtu tu. i love you much more,u give us lesson my dear!! !